Residential and commercial mechanical aluminum pool and perimeter fencing. Privacy and security with 100% maintenance free residential vinyl (PVC) fence. Professional steel and aluminum welded gates, railings, shutters and more. 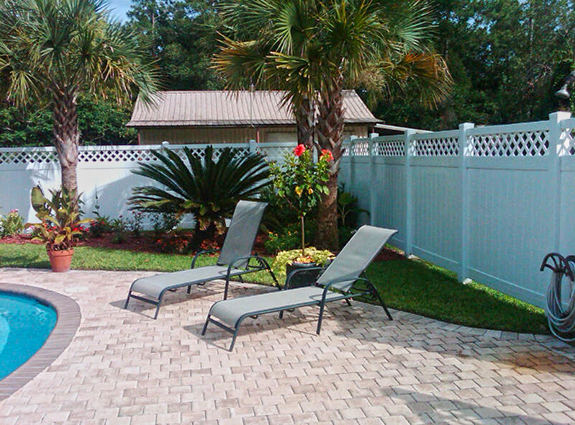 Fence Distributors brings a fresh and innovative approach to the aluminum manufacturing industry. Our goal is to exceed the expectations of every client by offering outstanding customer service, experienced engineering & design, and the highest quality raw materials. Whether you are looking for fencing or railing, we are sure to provide the highest performance finished products. Our fabrication staff has more years of experience than any other shop in South Florida - they are simply the best, and we're continually expanding upon our knowledge and services day after day. Our goal is always to meet deadlines and commitments in order to deliver your project on time and within your budget, and we never disappoint. Residential pool & perimeter fencing. 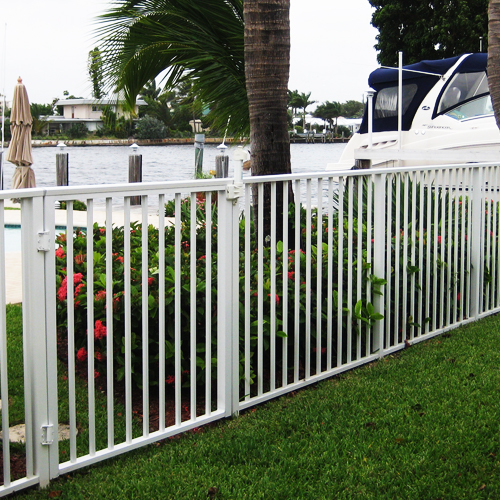 Aluminum fencing is the perfect option for any South Florida property that has a pool or is located adjacent to a waterway such as the intercoastal. We sell the highest grade aluminum fencing available to the public and we fabricate 100% of our products in our state of the art fabrication shop. Our fabrication professionals assemble each section of mechanical aluminum fencing using only the highest grade of raw materials, purchased from the best aluminum and steel supplier in the fencing business - Eastern Metal. 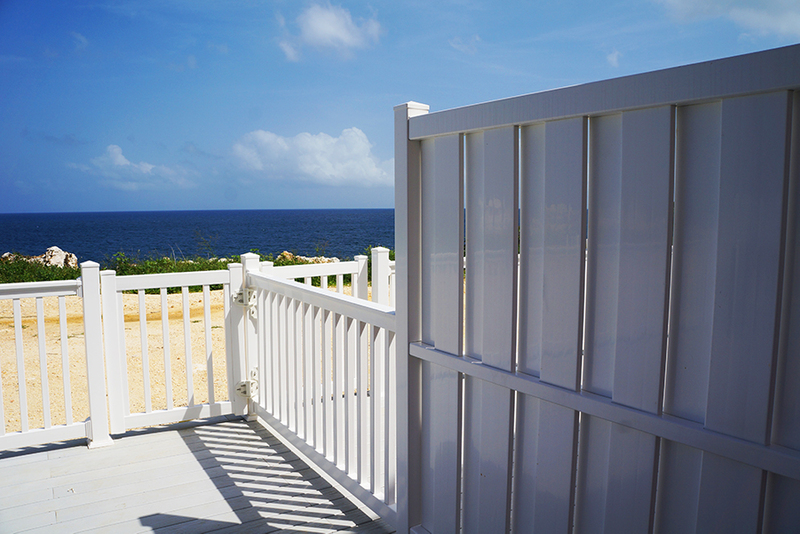 Aluminum fences are virtually maintenance free, which is especially important in South Florida because of the increased UV exposure and the increased salt abrasion of the sea air. Installation of our aluminum products is incredibly easy as mechanical aluminum simply snaps together. All you need to do is dig a few holes, set the sections in concrete and then snap each section together linearly - pretty much anyone can do it themselves without hiring a contractor. Learn more about our aluminum fencing products by clicking the link below. Vinyl fencing, otherwise known as PVC (polyvinyl chloride) fencing, is by far the most long-lasting and resilient of all fencing materials. Each component of a vinyl fence has several layers of protection in its wall, including an extra hard outer layer, or cap-stock that is engineered with sunlight inhibitors and other chemical components which prevent environmental degradation. In other words, any vinyl fence installed on a South Florida property is 100% safe from decay and will almost never require maintenance of any kind over its lifetime. Vinyl fences are also the only type of fence other than wood that allows complete privacy, although wood fences are far inferior to vinyl fences because they are very prone to decay and require constant maintenance. Additionally, vinyl fences, if installed correctly and with the correct approved component, can stand up to the worst hurricanes. Vinyl fences can be more expensive to start, but will ultimately pay for themselves over its lifetime. 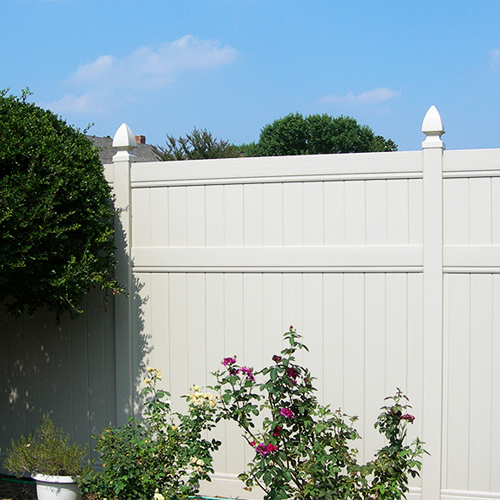 Learn more about our vinyl fencing products by clicking below. Our welding professionals have decades of experience fabricating residential and commercial steel and aluminum gates, railings, fences and much more. Click below to learn about why we're the best at what we do. There are few shops in South Florida that are capable of providing homeowners and contractors with the high level of aluminum fencing, vinyl fencing and custom welded products that we can. We have years of experience servicing all counties in South Florida out of our central location in Broward County, just off the Pompano Beach exit on I-95. We're known in our area as the go-to location for superior quality fencing, railing gates and much more. There are simply very few welding and fabrication shops that can compare to the quality of workmanship and customer service that we strive to provide our valued customers on a daily basis. So whether you're a new homeowner in Ft. Lauderdale, or a fencing contractor in Boca Raton, we treat you with equal respect and make sure your project comes out perfect. Simply click the button to your right and fill out the form to receive a completely free quote on your next fence, gate or rail project. 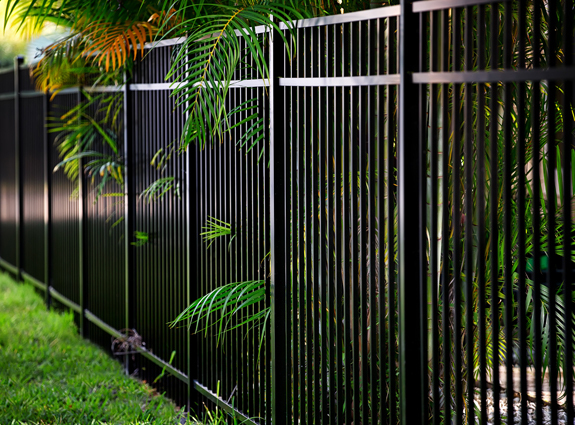 We pride ourselves on being the most experienced and most capable fence and rail supply company in South Florida. Our customers know that we can provide the highest quality fencing, railing and custom welding products for any project on an extremely efficient timeline. We understand that lead-time is an extremely important factor when deciding which fabrication shop to purchase from, so we've streamlined our production to make sure that each project that comes through our shop is completed on schedule with absolutely no issues. Our shop is always stocked with the essential materials for our standard products. So, every order is started as soon as we have fabrication professionals available. Most shops in South Florida have days or sometimes even weeks before they start fabricating your order, mostly because those shops don't carry the extensive inventory that we do. It's incredibly important to us that your order gets completed quickly and accurately so that your project is executed in the timeline that you set. Some people say that you get what you pay for, and when it comes to fencing, railing, and welding that is especially true. We understand that you may be looking for the cheapest product if so, we are not that. We use the best raw materials and employ the most expert of fabricators, so our products are not the cheapest, but they ARE the best. If you want the best, contact us right now for a quote. Why you should install vinyl fence instead of wood fence in Broward County. How much does aluminum fence installation cost in South Florida? 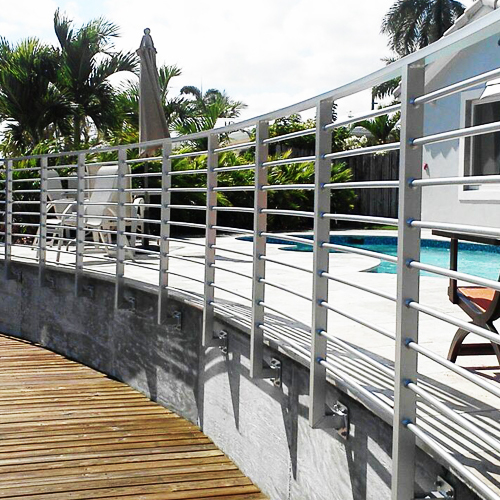 We're simply the best source in South Florida for your next fencing, railing or welding project. Schedule a quote for your job today by filling out the form after following the link below.